Situated in Central America, Costa Rica offers endless opportunities for tourism and is considered one of the most popular destinations in Latin America. The tourism industry is indeed one of the main sources of revenue in Costa Rica. 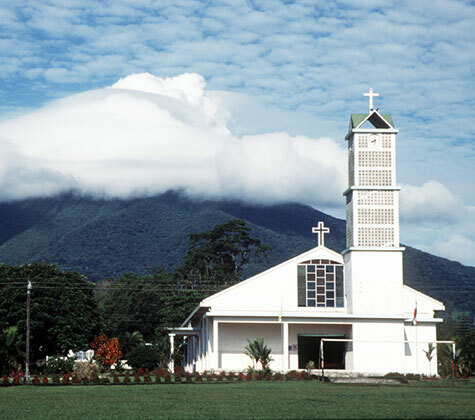 Costa Rica is a democratic, pacific nation and has had no army since the year 1949. Though a small country covering only 0.03% of the planet’s surface, Costa Rica takes pride in being the home of 6% of the planet’s biodiversity with 25.58% of its territory consisting of wildlife and protected areas. Costa Rica is also an "investor-friendly" nation. It offers great potential for major multinational companies wishing to set up their operations there, on account of the country’s higher levels of education, its top-notch services, and its social and political stability. Come to Costa Rica and find your dream property in this paradise on earth. We offer a broad range of options for sale or rent, from perfect condominiums and holiday resorts with beautiful mountain/ sea views, to land or estates to retire to, as well as homes or residential developments in top private residential communities.